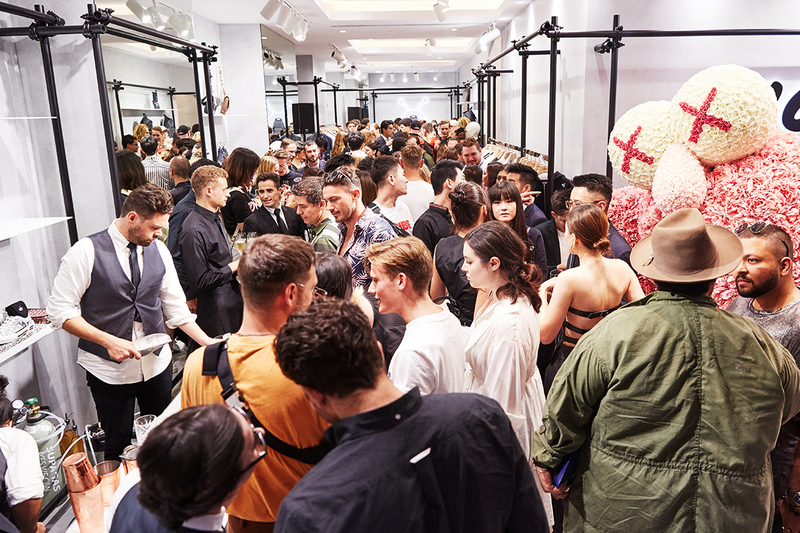 With a crystal flute of never-ending Moët & Chandon in hand, hundreds of the fashion world’s friends filled the revamped Dior men’s Sydney pop-up store for the official launch of Dior’s men’s capsule. 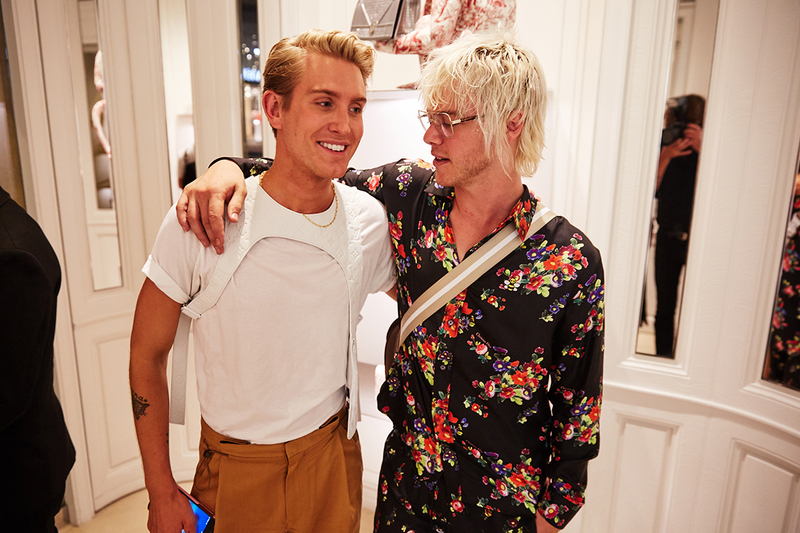 Celebrating the Kim Jones Summer 19 collection, his first for Dior, was a treat. 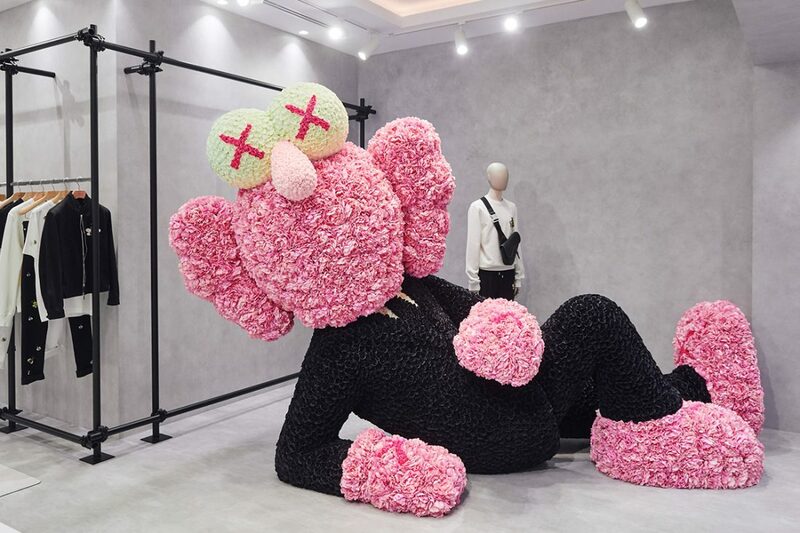 A lavish cocktail bar awaited guests including The CEO Magazine, but New York artist KAWS’ giant BFF creation – an avatar of Christian Dior himself – was the centre of attention at the intimate event. 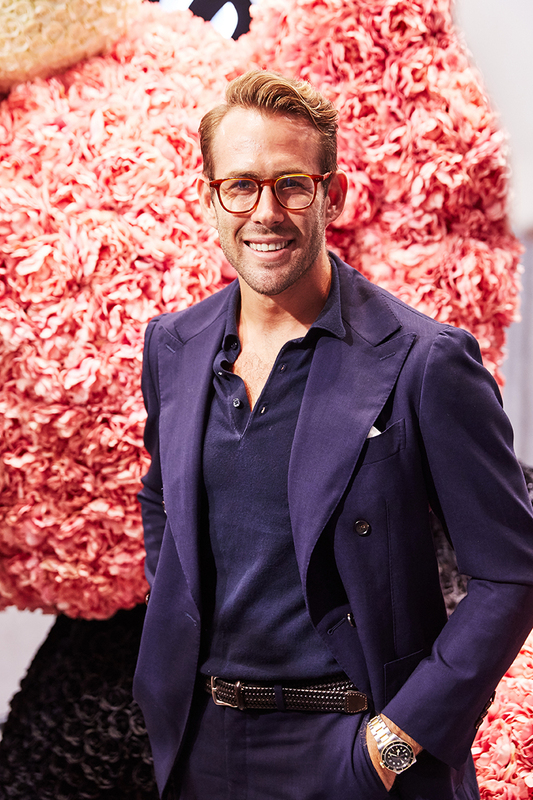 Crafted with hundreds of thrice-dyed synthetic flowers, the mammoth figurine welcomed the likes of Nicole Trunfio, Sarah Ellen and Diana Moldovan, Jamie Preisz, Kim Churchill and Tim Robards into the buzzing hub. The delicate insects were brought back to life 70 years after Christian Dior first infused them into his designs. Bite-sized truffle-filled croque monsieurs, lobster sliders in charcoal buns, salmon topped with caviar, and lemon verbena panna cotta with ginger cookie crunch were offered around the room while friends of Dior perused the new collection. 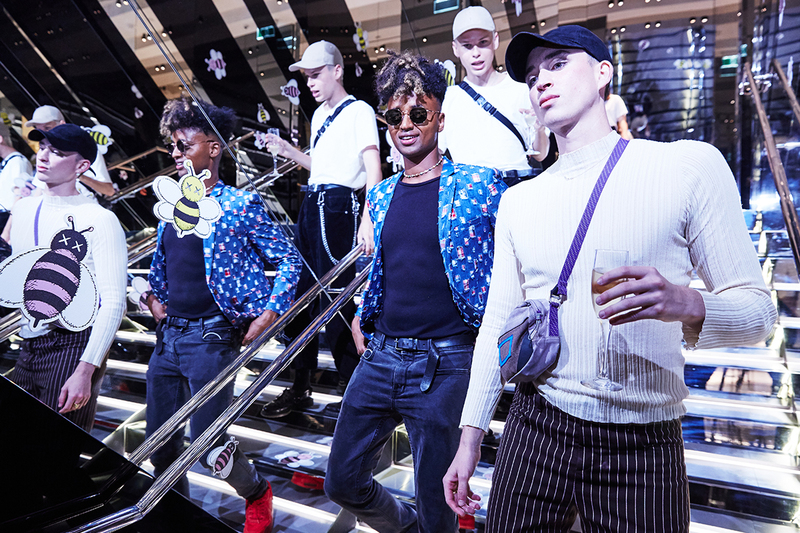 Many took to the pink-draped change room to try on the latest French threads adorned with embroidered bees – a nod to Christian Dior’s childhood spent in the garden. Pretty watermelon margaritas complemented the elegant rose hues of Jones’ designs while also infusing a fresh summer touch to the capsule. 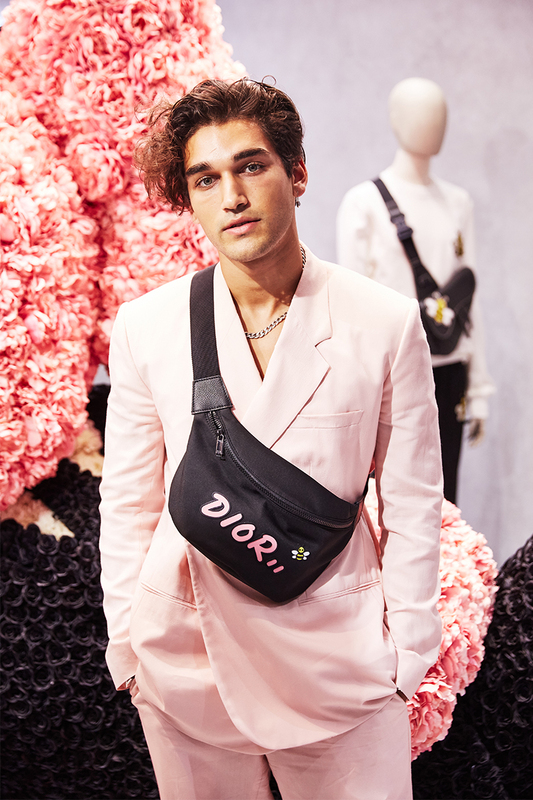 Striving to interpret the codes of Dior, Jones paid a dual tribute to reality and fantasy by representing a dialogue between the two sides of the founder’s personality. The designer infused masculine idioms with quintessentially feminine couture, like rounded shoulders, eased shapes, soft lines and a slashed cowl added to the back of shirts exposing the nape of the neck. 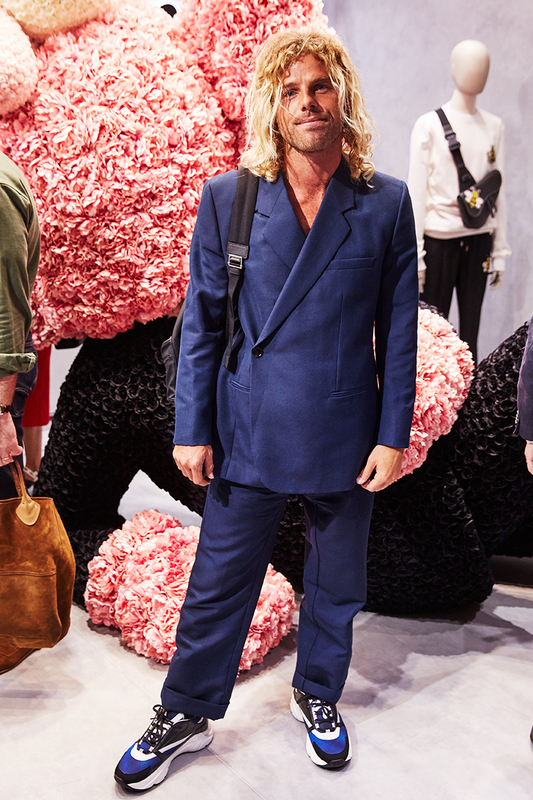 Inspired by the natural world and the nature of Dior, floral motifs in white, soft blue tones and pale pinks filled the Sydney pop-up store, paying homage to Christian Dior’s upbringing and his admiration for the 18th century. 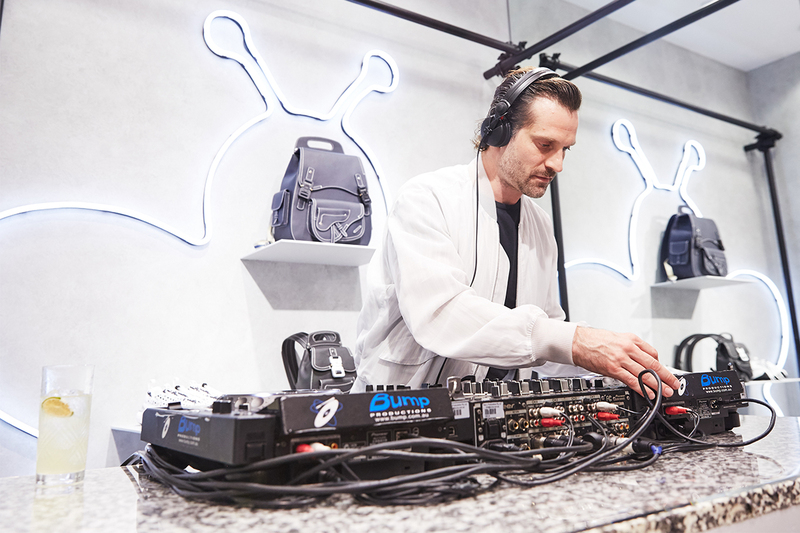 While the DJ played against a luminescent neo-white posing bee backdrop, exclusive guests of the French fashion house viewed the capsule featuring KAWS’ designed bees. “You can never go wrong if you take nature as an example,” KAWS say of the collection. 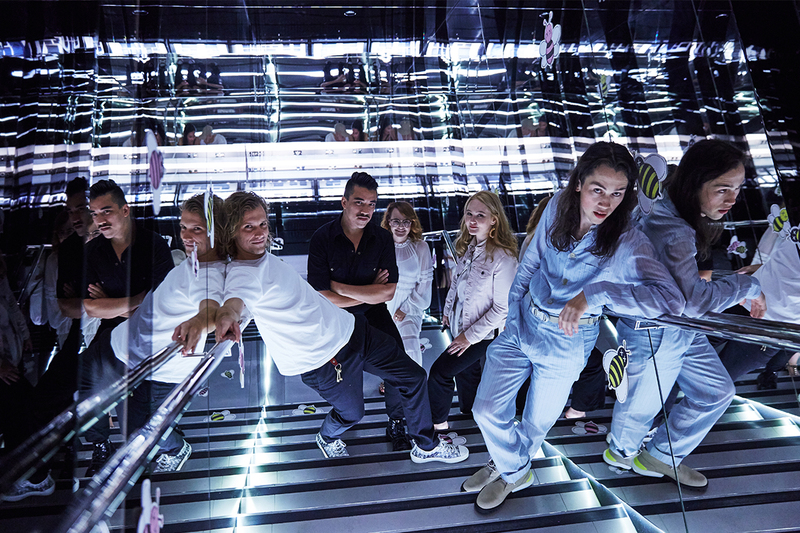 When guests had completed their round of the newly unveiled pop-up store, which features edgy yet crisp concrete hand-painted walls and architectural scaffolding, giving an informal and refined touch, they followed the whimsical bee stickers along the path to finish their evening at the Dior flagship store.